Music Therapy is an allied health profession that addresses the health & wellness needs of people of all ages. Individual needs & abilities are carefully considered, and programs are designed accordingly. 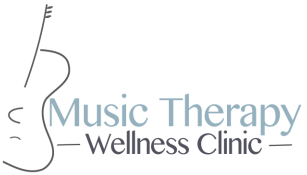 See below for information on the areas we specialise in at the Music Therapy Wellness Clinic. Supporting your loved one as they transition to aged care living can be a distressing time. Music Therapy can be used to actively engage residents & provide quality experiences that enhance their quality of life and offer opportunities for reminiscence. The music therapist will work individually with your loved one to provide them with the highest level of attention, connection and care. After working in the area of oncology for several years, Sarah understands the unique up & down journey of those diagnosed with a life-limiting illness. Her gentle, positive approach enables her to support clients with treatment/recovery goals, and enhance quality of life for the client and their family as they enter end stage care. MT Wellness Clinic provides facilitated sessions in the comfort of your own home. Our clients often present with a unique range of needs that may be developmental, physical, psychological or health-related. The non-confrontational nature of music therapy can make it an ideal environment for them to express thoughts/feelings or improve/develop skills (i.e. communication, social skills & emotion regulation), especially when more traditional therapies have been met with resistance. People living with mental health issues often struggle to find ways to cope & express themselves. 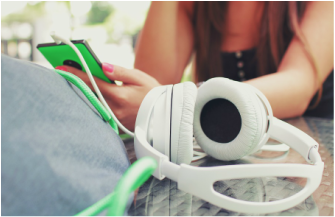 Live & recorded music are powerful tools for distraction, connection, self-expression & relaxation but require guidance to harness their effectiveness. During music therapy, the therapist will work with the client to jointly explore music-based support. Sarah has specialty skills in working with people aged 13-25 diagnosed with eating disorders and anxiety.